There is just something about this time of year that makes me want to make jam. I think because I know fall and then winter is quickly approaching, it just makes me want to bottle up summer so I can enjoy during the cold winter months. 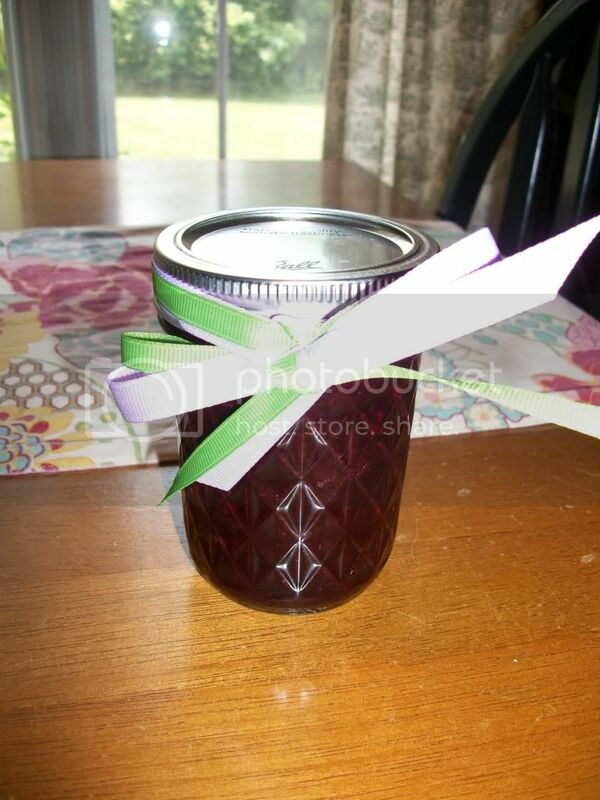 A few weeks ago Giada made this Sweet Basil and Blackberry Jam and I just had to make it. She mentioned this was a great way to use up some of your summar basil, and my basil was growing like crazy. I have made this twice now, and I love putting it on my oatmeal in the mornings. I made some last Friday to take to my Grandparents who I visited last weekend in W.Va. We had some for dinner on our cresent rolls, which was also very tastey. It kind of almost tastes like a minty blackberry jam. This recipe includes fresh orange juice (which you can also use from a carton if need be), lemon juice (also from a bottle if needed) and sugar which makes the basil really sweet and compliments the tart blackberries. 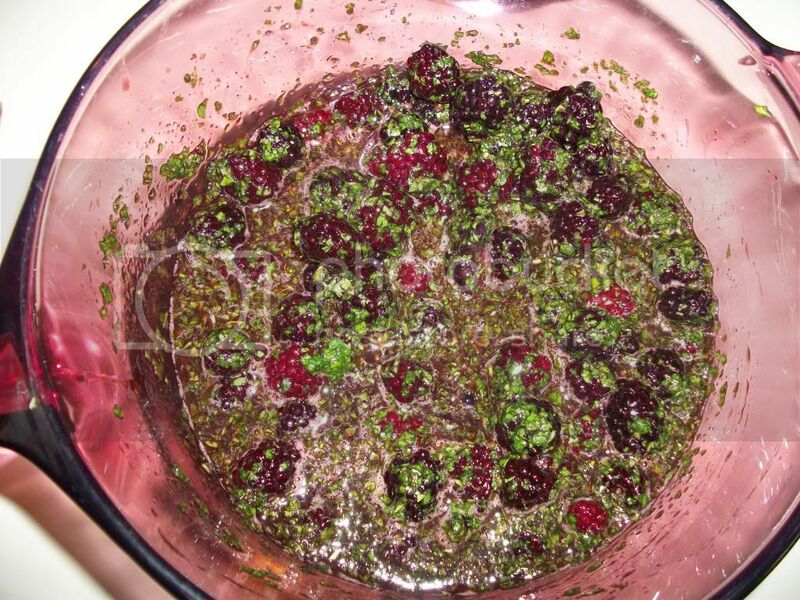 Place the blackberries and their juice in a medium saucepan and lightly mash with a fork. In a food processor, combine the basil, sugar, orange juice and lemon juice. Blend until smooth. 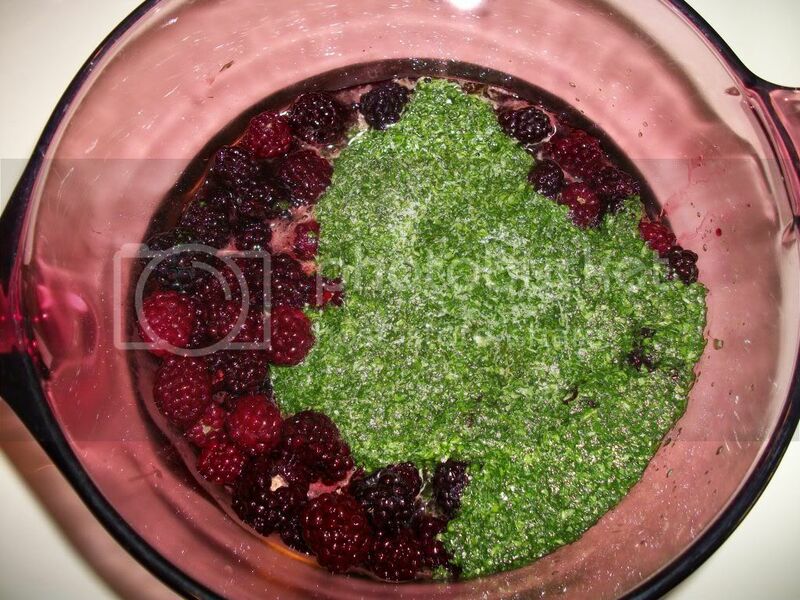 Stir the mixture into the blackberries and bring to a simmer over medium heat. Simmer until the mixture is thick, stirring occasionally, 25 to 30 minutes. 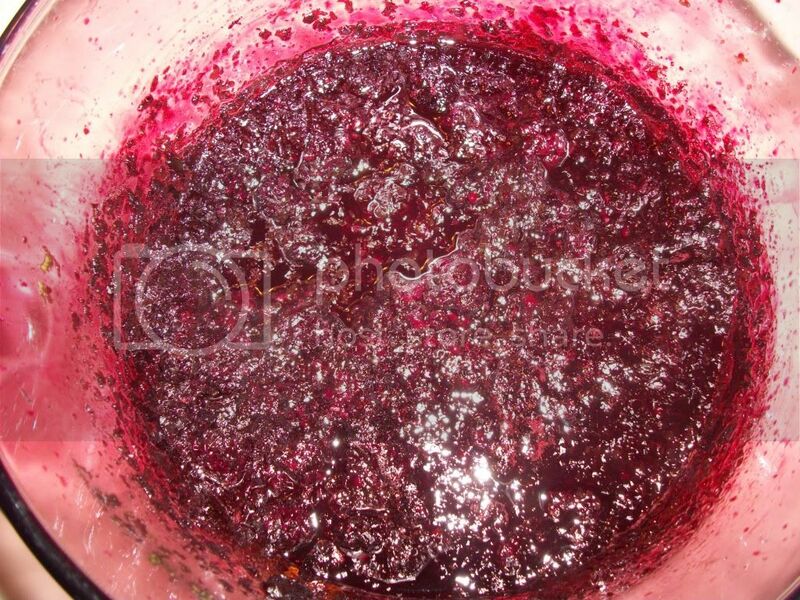 Remove the pan from the heat and allow the jam to cool for 1 hour (the jam will continue to thicken as it cools). Refrigerate in an airtight container for up to 3 days (although I have been using mine for over a week). Serving suggestions: Serve on toasted bread, alongside cheeses, or on lamb chops. Mix with yogurt and granola, or oatmeal, or layer in desserts or parfaits.